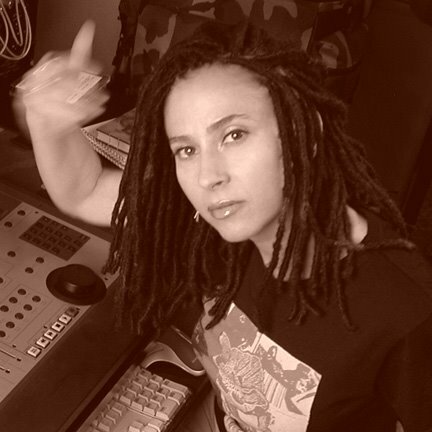 The Angel is a Los Angeles based DJ and producer. She is a composer for film and television, and an artist with a number of records released as both The Angel and 60 Channels. See her full discography HERE. Most recently, KiDULTHOOD is being released on DVD (in November, 2008). The Angel scored the film and composed its opening theme. A recently completed remix is now available at iTunes. A brand new album by The Angel will also be available later this year. For more information, check out The Angel online, HERE. *Are there any additional names used to describe this project: I have two separate recording projects: The Angel - which is left of center urban, (and) 60 Channels - which is electronic and eclectic and features vocalists from many genres outside of the electronic realm. *Members: I feature various guest musicians and vocalists, so there are no set members as such, besides myself. I'm part of what became a new wave of producer/artists that started happening in the mid 90's, where the concept of "a band" with a lead singer and a set group of musicians shifted and it became more about the artist, dj or producer as a band. Guest Vocalists include: Angie Hart, Tre Hardson, Navigator, Divine Styler, DJ Collage, Karen Grant, Rain Phoenix, Monday Michiru, Mystic. Guest Musicians include: Robert Russell (Acoustic and Electric Bass), Louis Russell (Guitar), Katisse Buckingham (Sax, Flutes and an array of exotic Wood wind instruments), DJ Drez (Turntablism, Scratching), Kevin Herlihy (Guitar). *Tape manipulations, digital deconstructions or turntable creations: Digital deconstructions - I have a musical background as a keyboard player and songwriter, but I also think like a DJ, and have the skills of a true tech head - I always write from pure instinct and feel, not from musical theory or formula. I blend all sorts of seemingly disparate elements from any number of genres and have no fear about distressing sounds and effecting sounds to create something unique. I've pulled sounds from the natural environment, like traffic and urban ambience. I've recorded acoustic instruments in non traditional ways and have blended high end orchestral sample libraries with all sorts of synthetic sounds all in a very irreverent way. I have a real aversion to the purists and a great love for all of the analogue and digital technology at my fingertips. *Another genre descriptor: Both projects, although different from each other, have been described as dubby, trippy, eclectic with hip hop and drum 'n bass riddims. Since the birth of the tag, dubstep, I've been reminded by many fans that I've been creating what people now refer to as "dubstep" tracks since day one. *Is there a story behind your name? No not really. *Location: I'm from Brooklyn, by way of London and currently based in Los Angeles. *Original Location: Born in Brooklyn. *What is your creative/artistic background: My creative/artistic background is as a programmer, keyboard player, producer/writer - someone who has embraced many generations of technological progressions... From analogue tape with all hands on deck mixing to fully digital in the box protools mixing. I've progressed from producing records, remixing and now composing for films (including "Boiler Room"and "KiDULTHOOD) and TV ("Standoff"and "WEST 10 LDN"). *History: The Angel moniker was created when I signed to Delicious Vinyl back in '93. 60 Channels was born in '98. *Born: My guest vocalists are an international group from Australia, the UK, Japan and all over the US. *Motivations: Writing, recording and playing music creates my safe haven. It gives me the opportunity to escape the world and explore a completely new environment with every project I work on. When I'm working to picture, it is even more all encompassing. I might as well be on another planet while working on these projects - It's inspiring and rejuvenating. *How would you like to be remembered: I'd like to be remembered as someone who was never afraid to try something new and trust her instincts... The good vibes bringer... as I nod my head toward Navigator (MC) who is the original Vibesbringer! Steev has gone in a slightly different direction, though he's still working with video and he's always been very politically active. His recent film, "On The Edge: The Femicide in Ciudad Juarez" is a documentary which exposes the killings of hundreds of women in Ciudad Juárez, Mexico. The murders have been largely ignored by police and government since 1993, and the film points out a number of sociopolitical reasons for why this may be. The film is available on DVD from illegal art. Find out more, under the category of "Video Activism," HERE. Steev has shown his work in Europe, Australia, and throughout the Americas. We had him out to perform in Minneapolis, in 2001. 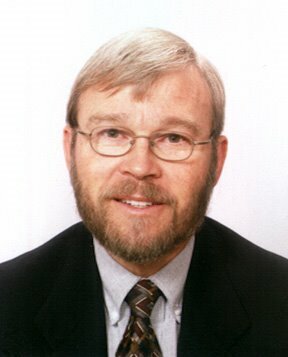 Checkout his website HERE and the 2007 SAR Q&A with Steev Hise HERE. 01 Steev Hise - "Return of the king"
02 KLF - "The queen and I"
03 John Oswald - "Mist"
04 People Like Us - "In the panto"
05 Evolution Control Committee - "Spandau filet"
06 Steev Hise - "Beatlepound"
07 Steev Hise - "Stuck together, falling apart"
08 Steev Hise - "Finale from Requiem for a dream"
09 Steev Hise - "A memeful of dollars (the frontier is inside)"
DJ Qbert is San Francisco based skratcher, and 3 time World DMC Champion, Richard Quitevis. He's a co-founder of the band, or turntablist crew, The Invisibl Skratch Piklz, with Mix Master Mike and DJ Apollo. Apollo left in 1993 and DJ Disk, Shortkut, DJ Flare, Yogafrog, D-Styles, and A-Trak eventually also joined the lineup. The group officially disbanded in July of 2000. The Invisibl Skratch Piklz are said to be the first group to apply the band concept to turntablism, by layering samples of drums and basslines with scratch solos to compose turntablist songs. 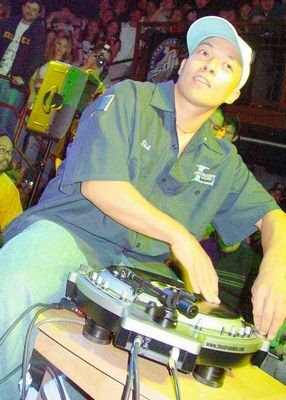 DJ Qbert was featured in the documentary, Scratch, and has at least a dozen different releases (see full discography HERE). He's also contributed to a large number of remixes, albums and films and was even featured in a video game for Playstation II. *Are there any additional names used to describe this project: Thud Rumble (our DJ products company). *Do you use a pseudonym? Nope. *Members: Yogafrog is my business partner if that counts. *Another genre descriptor: I'd rather be called a skratcher, like a skater or surfer would call themselves. *Is there a story behind your name? When I was in high school I was fat and short. At that time there was a video game called Q*bert. Since my last name, Quitevis, started with a Q and my old buddies thought I looked like the Q*bert character, they started to call me Qbert and the name has just stuck since. *Original Location: Well, my parents are from the Phillipines, but I was raised in San Francisco. *What is your creative/artistic background: Hip hop roots from the early 80's & jazz. *Motivations: Studying violinists, horn players, guitarists, etc. painters... anyone who has skills, I go read books about them and look on youtube to see them play and scientifically and spiritually discover what it is that makes them sound so good... then I try and apply that to scratching. *Philosophy: Playing the turntable like a musical instrument just like any musician would do. I want to get the sounds in my head out into the real world. *How would you like to be remembered: Someone who followed their dreams and let the dreams come forward. 02 A plus D – "Standing In The Way Of Connection"
11 Copycat – “Does Your Homosapien Know?" Hugo Keesing is a teacher and a pop music archivist. I'm not sure he'd refer to himself as an artist (I didn't ask him), but he did produce a piece of work called Chartsweep, which many of us who listen to sound collage couldn't help but think of as art. I think The ECC's Mark Gunderson sent me a copy of Chartsweep, probably around 2003 or 2004. I aired the first part in 2004 (Check out Episode 74 HERE - originally aired February, 2004) and part 2 a few months later. At the time, noone could find out anything about the work and so it seemed like a mystery which needed to be solved. All we knew was that the piece was true to its name. It was over an hour of recognizable segments of every #1 single, as recognized by the "music charts" (I wasn't sure which chart, but I assumed it was Billboard. It turns out that was partially correct. Read on to learn more...) and that it was assembled by Hugo Keesing. I'm not even sure how or where the recording surfaced. Perhaps Mr. Gunderson will comment on this post... Regardless of how or why, it eventually made it into my library and I aired it on the show. *Are there any additional names used to describe this project: Full name - Hugo A. Keesing (for teaching and other academic purposes I sometimes add "PhD.") On-line I'm known as "musicdoc." *Is there a story behind your name? The concept and term "Chartsweep" both originated in the late 60s with a syndicated radio show called "The History of Rock 'n' Roll." I listened to it on WOR-FM in New York and recorded portions of it on an old Wollensack reel-to-reel tape recorder. As you know, the 'sweep presented segments of every Billboard #1 single starting with "Memories Are Made of This" (Jan 1956). I don't recall where it stopped, but it was around 1968/69. Six years later I began teaching an American Studies course at the University of Maryland called "Popular Music in American Society." To provide a setting for each class I dusted off the concept, took it back to January 1950, added a number of songs based on Joel Whitburn's re-definition of #1 songs, and continued where the original had stopped. I added each new #1 until fall, 1991 when I stopped teaching the course. "Set Adrift on Memory Bliss" was the 900th. At the start of each class I played a portion of the 'sweep that corresponded to the years we were covering that night. To accompany the tape I made 35mm slides of either the original sheet music, 45 rpm record sleeve or something similar, so that students could see as well as hear the pop music history. Copies of each night's tape went to the undergraduate library. I assume that an enterprising student or two made their own copies and it is a copy of a copy of a copy that remains in circulation. That's the story in a nutshell. *Tape manipulations, digital deconstructions or turntable creations: I'm a pop music collector, historian, archivist and teacher. My scope of interest is the 50 years between 1940 and 1990. In my 40 years of teaching I did my best to combine music with documentary excerpts--speeches, news broadcasts, PSAs, advertisements, etc. *Original Location: I was born in the Netherlands and came to the US as a 7-year old. *What is your creative/artistic background: Popular culture [comics, baseball cards, music, etc] was a major factor in helping me become "Americanized." I never learned to read or play music, so I began learning about it... who sang the song, on what record label, flip-side, chart position, etc. *History: I've collected records and related materials since 1955. At one point I had over 15,000 discs, almost 4000 books on R&R in 15 languages, and 18,000 pieces of sheet music in my basement. Much of the collection is already at the University of Maryland's Performing Arts Library as the "Keesing Musical Archives." I first began using pop songs in my teaching in 1966, and wrote my doctoral dissertation [one of the first in the US] on popular music and youth culture. It was entitled "Youth in Transition: A Content Analysis of Two Decades of Popular Music," Adelphi University, 1972. Since then I've published or presented more than 200 monographs, papers, reviews and other materials. *Motivations: My motivation was simple: I love the music and love to teach. I hit adolescence at the onset of rock 'n' roll, with Elvis, Fats Domino, the Platters, the Everly Brothers, Coasters, Roy Orbison and others. 45 rpm records were king and because I bought them and brought them to parties, I became a de facto disc jockey in junior high school. [In the early 1970s I did some dj-ing for the American Forces Radio & Television Network in Turkey as "HK the DJ" with a show called "Rock Recollections." *Philosophy: My philosophy has been that people learn best when they're engaged, and music engages them. If they can connect important information to music they are more likely to retain that knowledge. *How would you like to be remembered: It's too early for me to consider how I want to be remembered. I'm not ready to write my epitaph quite yet. 01 Splatt - "Pants (Florida dog)"
03 Hugo Keesing - "Chartsweep (part one)"
Mr. Meridies is the alter ego of San Francisco multi-media artist, Bob Boster. Boster works with live electronics, graphical composition and performance art, and was the station manager at award-winning radio station WXYC, in Chapel Hill, NC. He's also the founder of independent record label, Friction Media. Mr. Meridies has a solo album, and tracks featured on Illegal Art’s Deconstructing Beck and Commercial Ad Hoc CD, and one on the Friction Media compilation Cognitive Mapping Vol. 2. 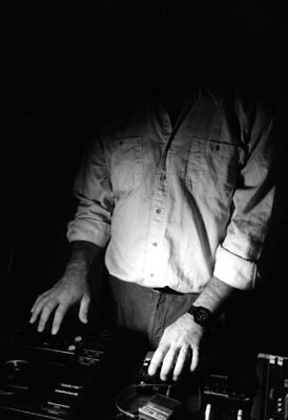 Bob has scored dance, theatre, film, and video, and collaborated with a wide range of visual artists, in addition to work in radio, performance and theatre. *Are there any additional names used to describe this project: I record & perform both under the name Mr. Meridies & Bob Boster. *Do you use a pseudonym? See above. *Why you use this descriptor: Pretty self-explanatory, first got exposed to the idea via academic work in critical theory. *Location: I currently live in the SF Bay Area. During the time I have been making this work I have also been based in Chapel Hill, NC; Plymouth, MI; Hoboken, NJ & Horsham, West Sussex – UK. I have performed in London, Brighton, LA, NYC, Seattle, Portland, Kansas City, around New England, Detroit, Ann Arbor, and extensively in the Triangle in NC and around the Bay Area. *Original Location: I was born in Trenton, NJ and have lived in various places around the US. *History: Mr. Meridies has existed since around 1990 or so. There was a gradual transformation into that formation, as well as development of work under my regular name, starting at Mills College in 1996. *Born: Trenton, NJ – 1965. *Motivations: Creative outlet. Social contribution. Way to support other creative efforts (I do a lot of collaborations outside of music world). *Philosophy: Once audio has been released into the commercial sphere it is available fodder for reconfiguration. If you need to make something to express an idea in the audio domain there is a vast, rich amount of expressive material in the domain of our common culture – why wouldn’t you try to harness those ideas for your new statement? *How would you like to be remembered: Someone who made sound art that touched people’s lives in ways that made them think something new or conceive of sound or music in new ways. *Web address: Not really current on the web. 01 The Bran Flakes - "Connecting the dots"
02 John Oswald - "Fabulous"
03 Splatt - "Namebrand daddy"
04 Hromlegn Kainn - "Doublefolded"
05 Public Works - "Artifice"
06 Protocol Helix - "Introflux"
07 Carl Stone - "Shibucho"
08 Mr. Meridies - "Paving the road to hell Pt.2"
09 Christian Marclay/Otomo Yoshihide - "Blood eddy"